The pieces on this page, are my early experiments with colour, texture and various types of canvas. More recent pieces are featured in the drop down menu from the gallery, please browse through them. Approx. 18 x 15 inches 48 x 38 cm. 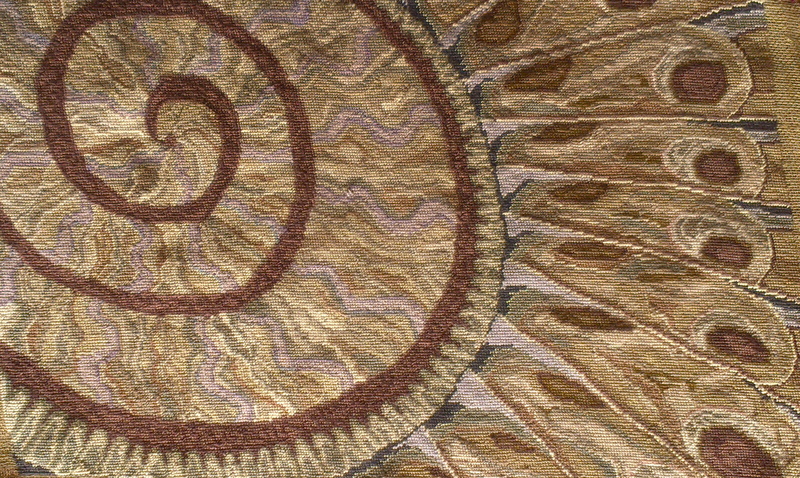 Wool on hessian (burlap). 11 x 14 inches 29 x 38cm. 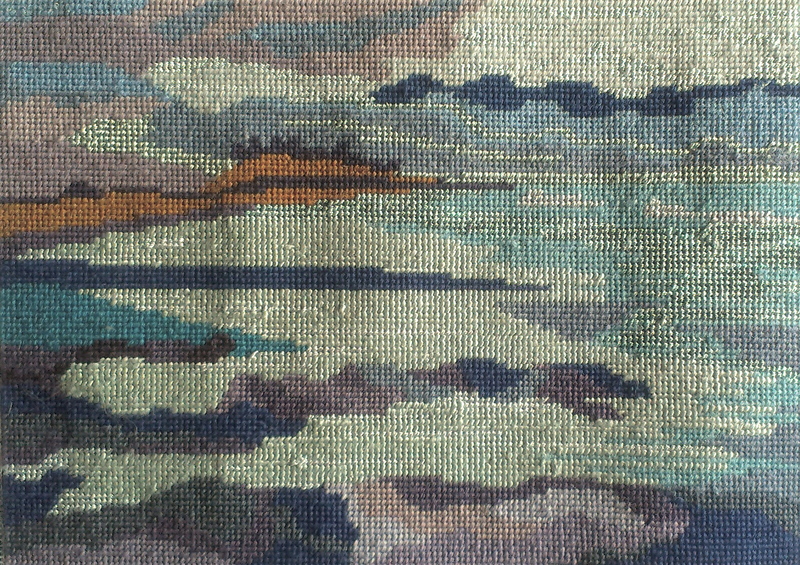 Tapestry wools on painted mono tapestry canvas. 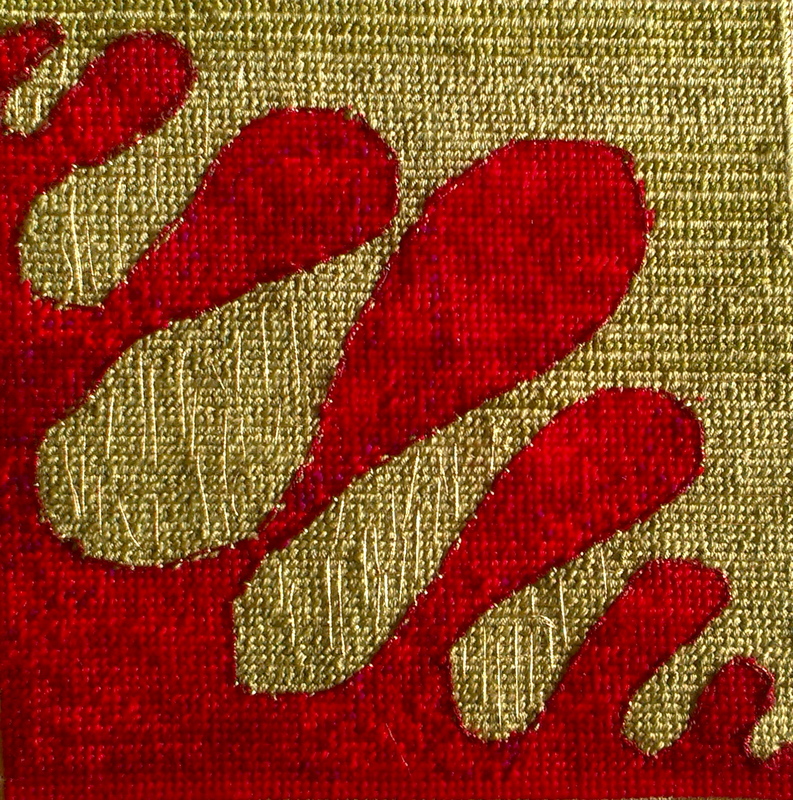 Small piece, 8 x 8 inches 21 x 21cm Wool and metallic threads on mono canvas. Inspired by a visit to Dunstanburgh Castle. 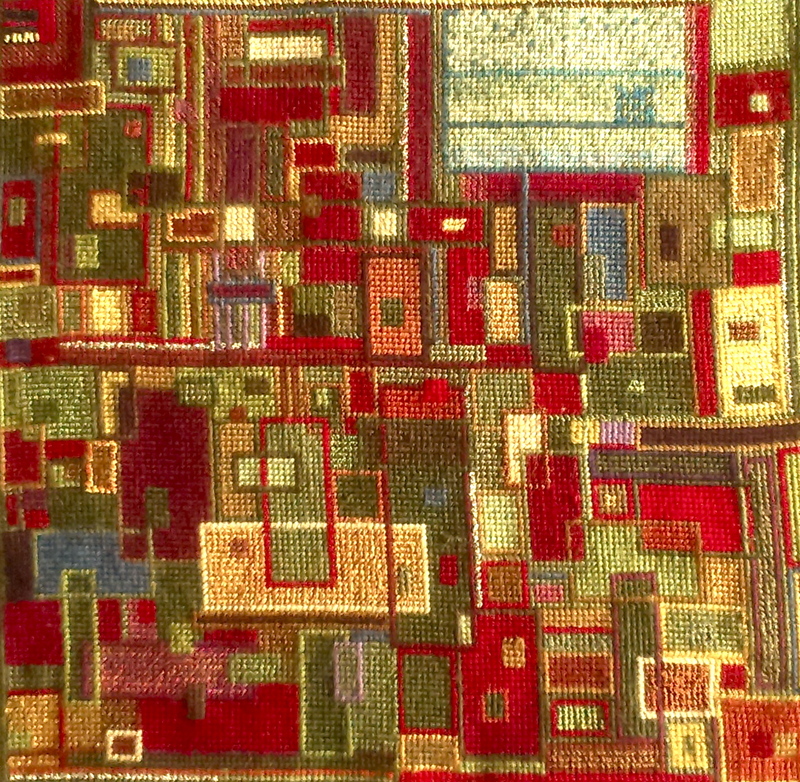 Tapestry wools on mono tapestry canvas. 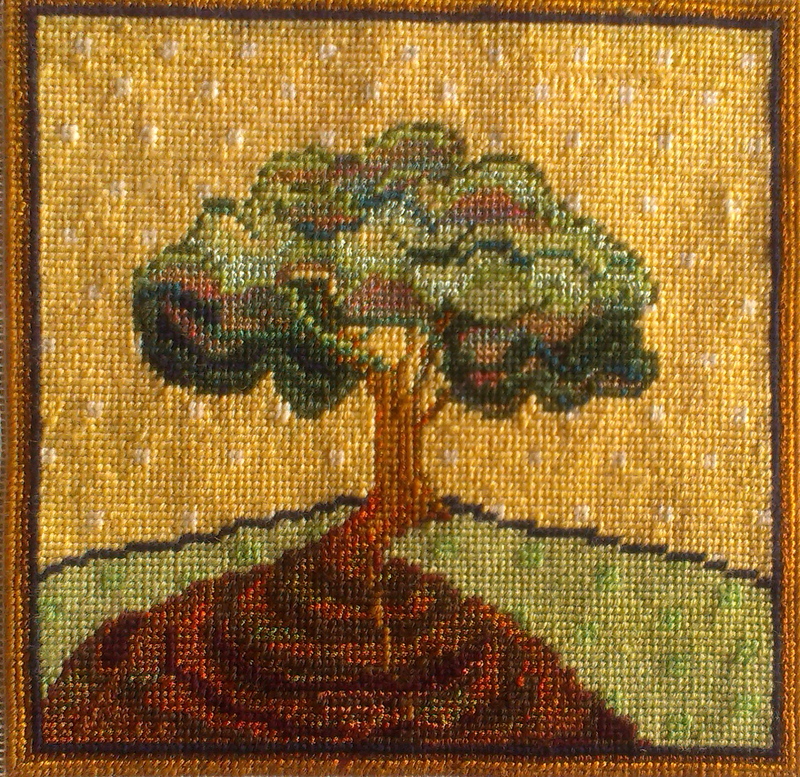 Trees feature often in my work. 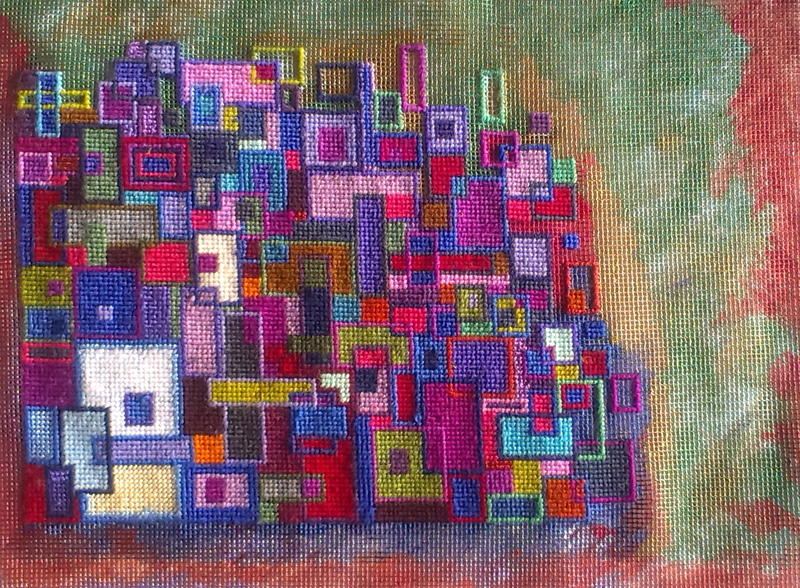 This experiment is a huge piece on large loose weave hessian. 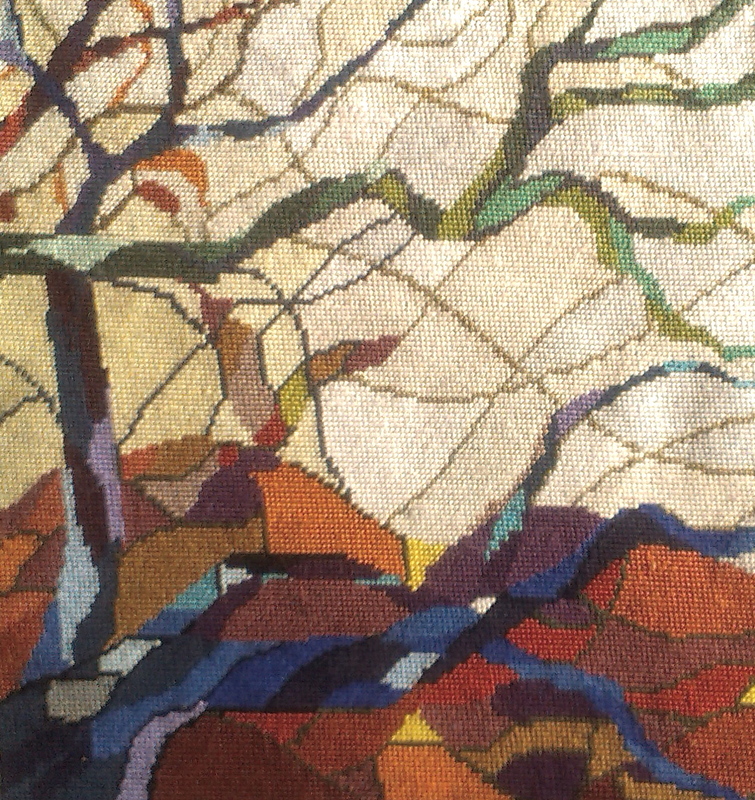 It was more of a weave than a stitch as the threads help create the texture and substance of the material. 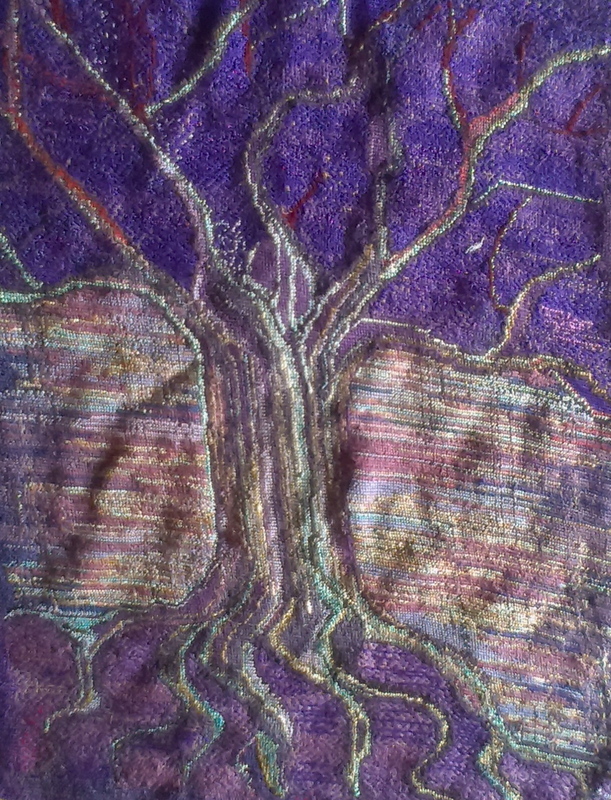 Another experiment on finer hole hessian, worked in various tapestry wools. Inspired by the textures and lines in sea-shells. 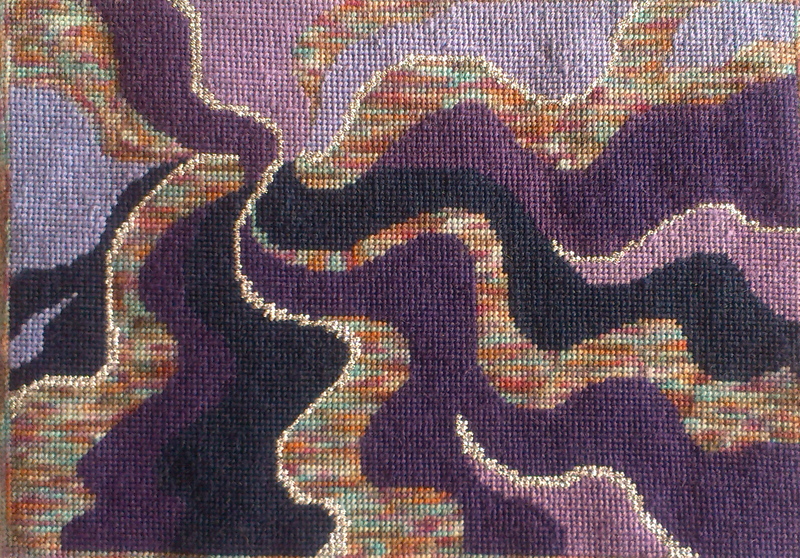 Various threads including metallics on white linen scrim. More recent pieces are featured in the drop down menu from the gallery. 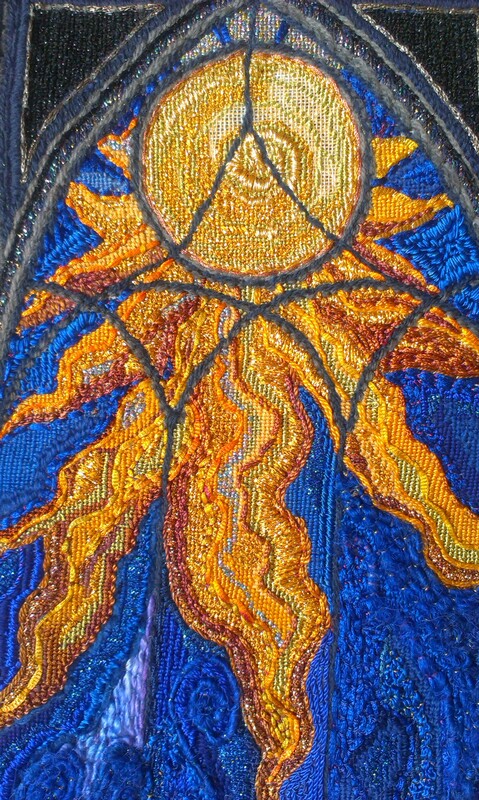 Are any of the needlepoint it’s available and canvases for the public to purchase? I’d really love to do one. Thank you very much for the kind response. I’m going to give your suggestion a try. Your work is so wonderful and very soothing. Subscribed today thanks to your Twitter link. The gallery my first sight of your work. 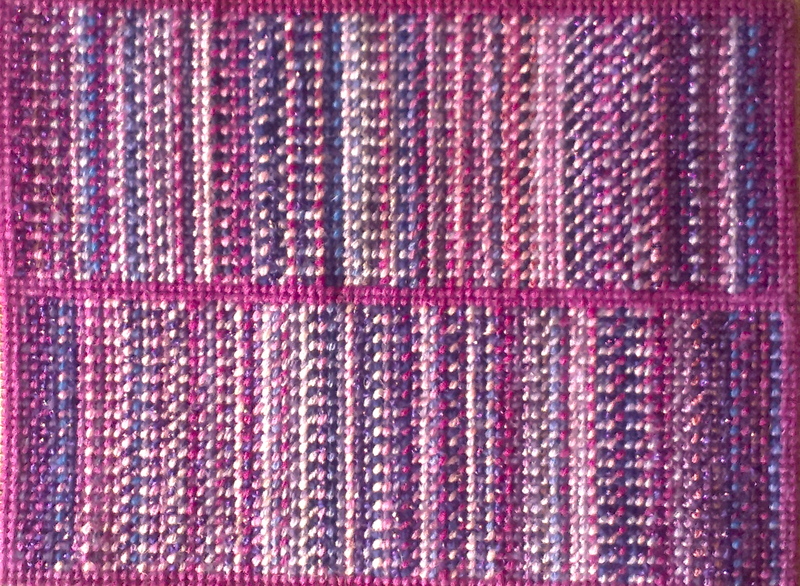 Haven’t done any needlepoint or tapestry work for years having been fully occupied with knitting, patchwork and quilting and calligraphy. Your work is so inspiring feel I must start again. Love the colours and textures. 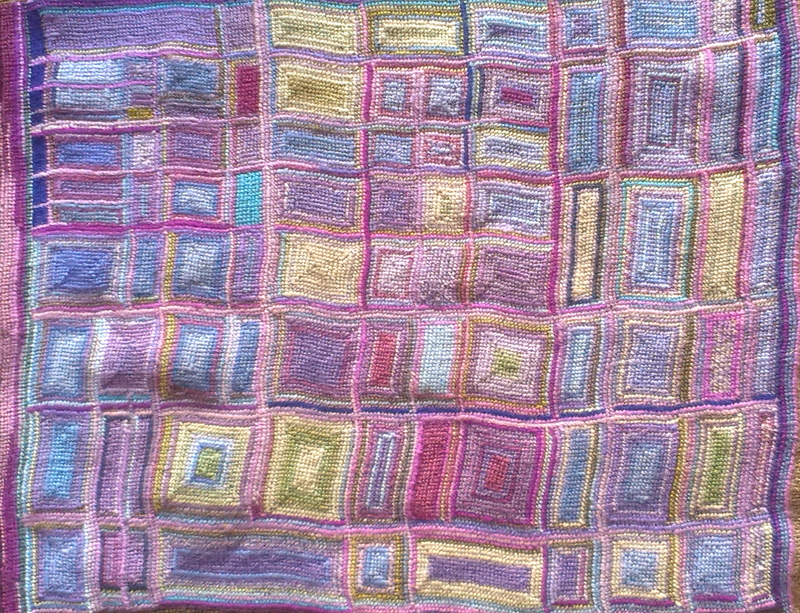 I’m so happy I found this site……..I love yarns and projects. Now I’m trying to navigate through your site to find out if I could purchase a couple of items.